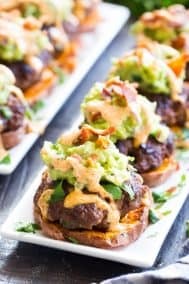 These paleo beef, veggie, and bacon bowls are super tasty and quick to make! 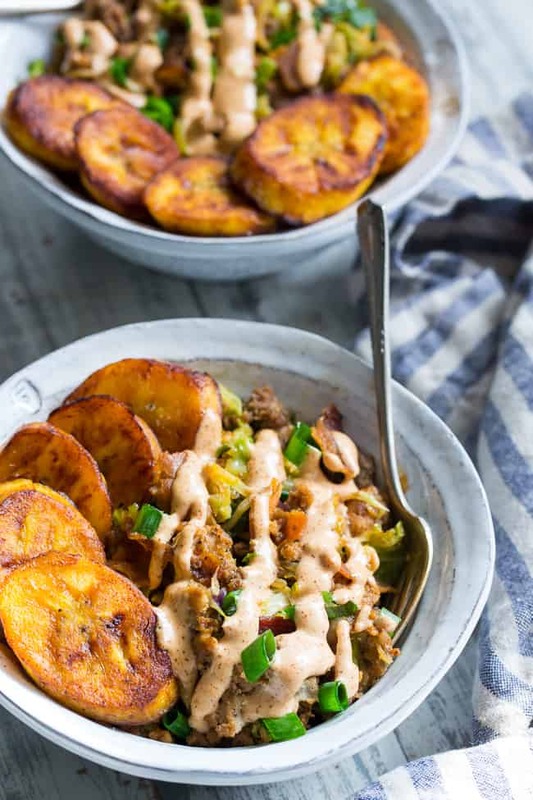 Seasoned ground beef is cooked with savory bacon and lots of veggies, then topped with perfectly fried sweet plantains and chipotle ranch sauce. 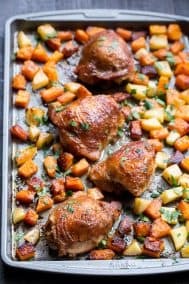 Whole30 compliant, family approved, ready in 20 minutes and great for lunch or dinner! This was most definitely one of those recipes that I wasn’t planning on ever posting. 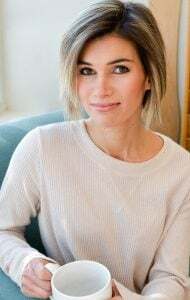 I have many of them, actually – meals that I throw together for myself on a whim, based on my mood and what’s in the fridge – and then assume it’s way too basic to make “official”. But this one, I happened to have also made for Adam during our January Whole30. 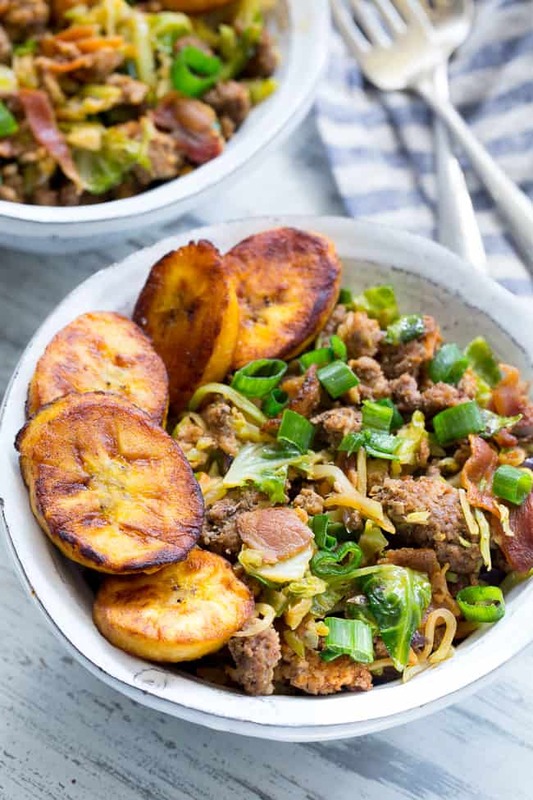 Random Saturday lunch, had to feed us, and this is what happened – sort of spicy, flavor-packed Whole30 and paleo beef, veggie and bacon bowls with fried sweet plantains. And oh yeah – don’t forget that chipotle ranch sauce on top! Anyway, he LOVED it and asked if it was on the blog – I said no, of course, that I barely remembered what I even threw in the skillet in the first place. BUT, since it was so well loved, I decided to try to replicate my steps and make it “official” so I could the random deliciousness with all of you! And even though it’s now an actual recipe – it’s still just as easy, versatile and flexible as it was the first day I made it. As in, you can truly throw in ANY veggies you like (as long as they’re chopped/shredded) and switch around the spices to make it your own! 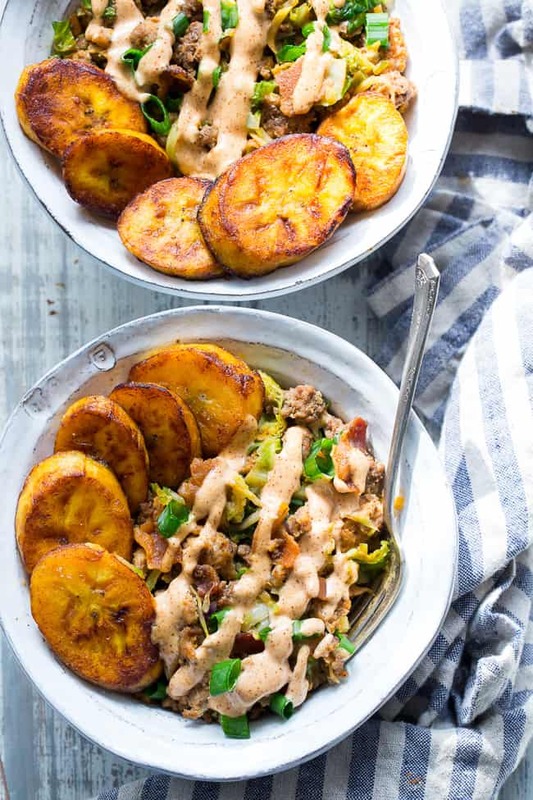 For this recipe I used ripe plantains, which cook in literally 5 minutes and add the perfect amount of sweetness to an otherwise savory meal. I love ripe plantains for just how easy, fast, and delicious they always are. That said, you can always skip it and top with guac (recipe here) or even a crispy fried egg if you’re going the breakfast route. You really can’t go wrong with the toppings you choose! I hope you’re ready for an easy, delicious, healthy paleo and Whole30 meal right now – let’s get to it! 4 cups shredded or chopped veggies I used Brussels sprouts and a broccoli slaw mix, you can use anything you like! Heat a large skillet over med-hi heat. Once sizzling, add bacon slices and cook until crisp, turning once. Remove to drain on paper towel. Keep the rendered fat in the skillet and lower heat to med. Add beef to skillet and sprinkle with the salt and seasonings. Brown, breaking up lumps with a spatula. 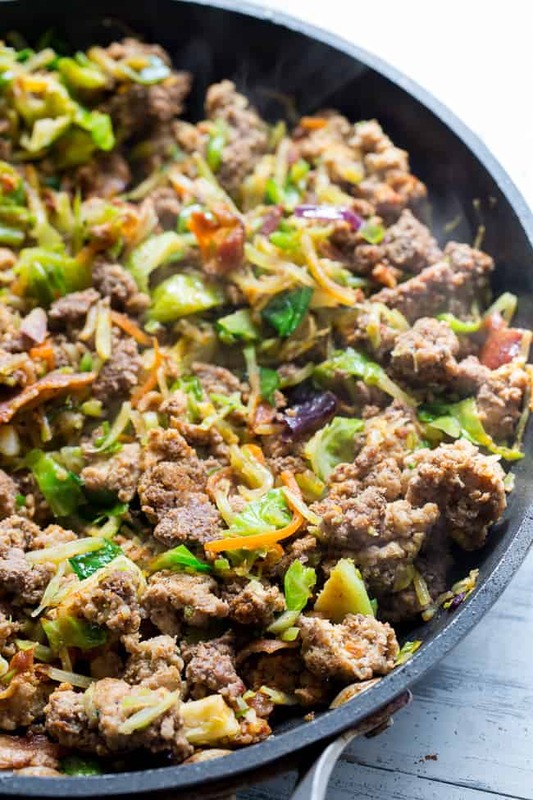 Once beef is about 80% done, add the veggies and water to the skillet, gently stir, then cover skillet. Cook, covered, 1-2 minutes to soften veggies. Uncover and stir, then crumble cooked bacon into the mix. Continue to cook and stir occasionally for another two minutes or until veggies are cooked to preference. 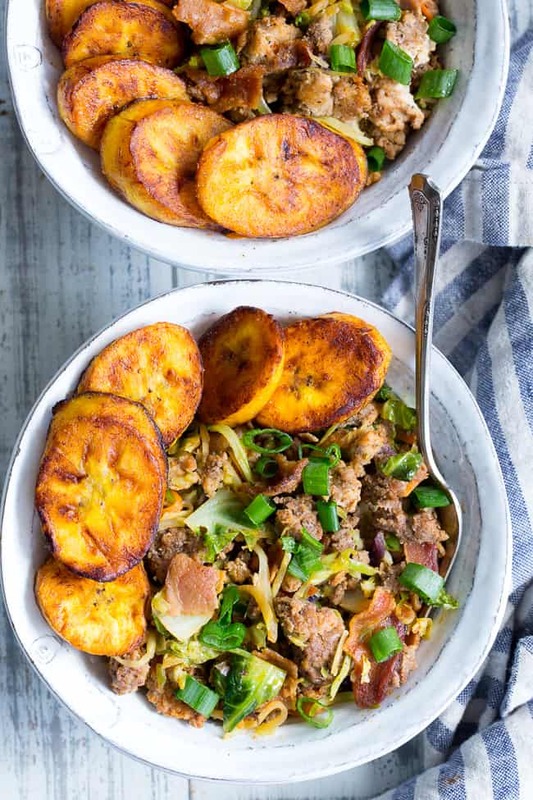 Once sizzling, add plantain slices in a single layer and fry the first side until golden brown, flip, and do the same to the second side. Once both side are golden brown, remove from heat and sprinkle with sea salt to taste. 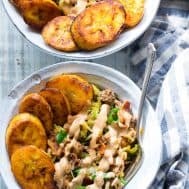 Serve beef and veggie mixture in bowls with fried plantains, garnish with scallions or cilantro and top with chipotle ranch sauce if desired. Enjoy! 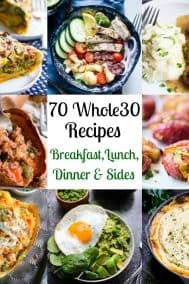 Want More Easy Whole30 meal ideas? Try one of these! This looks amazing–can’t wait to try it! My husband is Latino and he loves plantains! 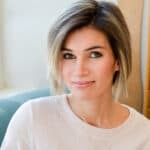 I’ve been doing paleo for about a month and I’m so thankful that I found your blog. 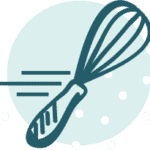 Thank you for sharing these fantastic recipes! My whole family loved your white chicken chili!! I”m loving the veggies for this month! I love mushrooms, artichokes and sweet potatoes already so maybe I should try a beet, plantain or turnip recipe! This was great! I used broccoli slaw mix which made it that much easier. The chipotle ranch should not be optional because it was a great addition, so I highly recommend. I agree the chipotle ranch is just so tasty! Glad you enjoyed! i’m glad to see this comment because I bought all of the ingredients and wondered about the Chipotle Ranch and if I should skip it. I bought Primal Kitchen’s Mayo just in case… now I’m glad I spent that $8 on mayo… ha! My new favorite meal with so much flavor. The chipotle ranch sauce is a must! One of my favorites too! Happy you like it! I have a hard time getting my kids to eat vegetables and this dish they love. My middle child ate everything and was asking for more. That’s awesome to hear! Nothing makes me happier than hearing the kids love it! I made this recipe on Wednesday night. I almost doubled it and I’m glad I didn’t since it makes a TON!! So delicious and even a coworker whom I shared it with today (Friday) said it might be the best Paleo recipe I have made yet. And he raved about the sauce that goes on top. So if you make this, do not skimp out on the sauce! I bought the Primal Kitchen avocado oil mayo and it worked great with it! Side note, as a personal preference, I should have bought ground bison instead of ground beef since I prefer bison over beef. But I will for sure be making this recipe again with bison!! 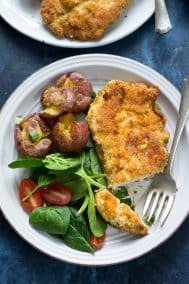 I made this tonight and it will definitely be going into my recipe rotation! Fast and delicious. I’m all for sharing recipes that seem “too basic to be official,” as it never occurred to me to throw these items together for a meal. It was my first time to cook with plantains and I think I have found my new best friend. 🙂 Thanks for sharing! Just made this today! It was so easy and soooo delicious!!!! It’s a keeper for sure. Thank you so much!! Made this tonight, the kitchen smelled AMAZING, and the meal was delicious! My husband and I loved it. Very filling and made two bowls of leftovers for lunch tomorrow. 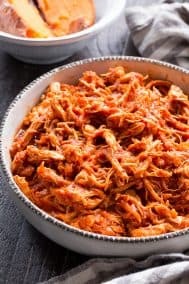 I absolutely love Simple ingredient recipes like this, please share more of these kind of quick meals! I am single, live alone and made this for my 5th time last night, but with ground bison. 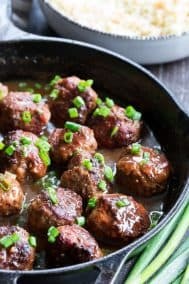 Definitely a favorite recipe of mine to make! And it makes a TON of leftovers for me to eat for lunch for the next 2-3 days at work. I just wish my local Wegman’s wasn’t out of shaved brussel sprouts to add to the mix like usual (too lazy to prep them that way myself… ha ha). 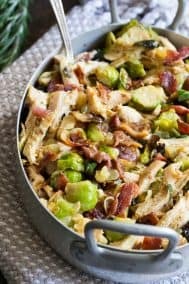 I came across this recipe a few days ago and it is all i have been able to think about since then. I showed it to my hubby yesterday and he thought it looked good too, so I finally made it last night. OMG. It is the best Whole30 recipe I have ever made. The flavor was just incredible and it was so easy! 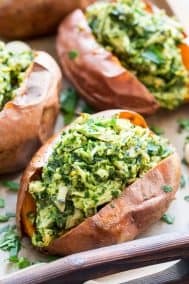 Thank you so much for creating a recipe that so good that you want to make it even if you aren’t doing a Whole30!